I don’t know of anyone who enjoys having a litter box in their RV. 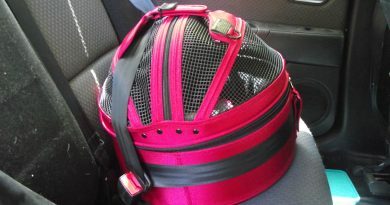 However, if you travel with your cats either full-time or part-time, you’re probably going to need one. Traditional, rectangular litter boxes don’t often do the trick. There’s just too much litter that gets tracked onto the floor. What’s worse is when the box isn’t covered and your kitty misses it. Then you’re left with not only litter on the floor but also some wee or poo or both. Yuck! There are some creative commercial options, with various degrees of effectiveness and cost. The Booda Box and corner litter boxes are two attempts to figure out this issue. If you want to know more about these options, I cover them in a post. But right now, I want to describe our own DIY project to create a litter box big enough for two cats. 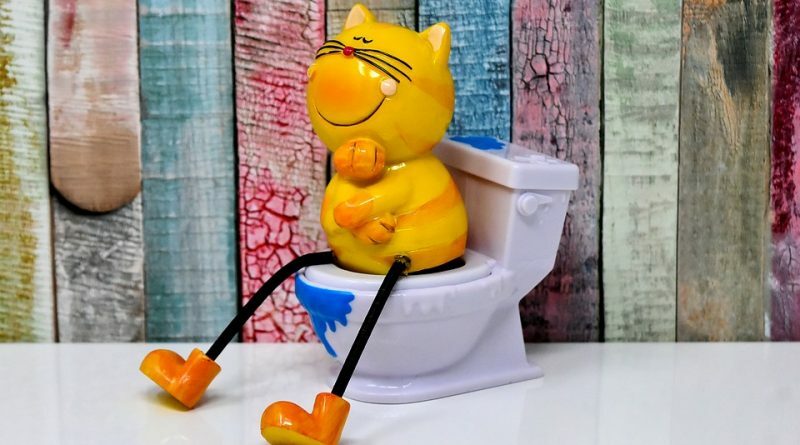 We had two cats and I wasn’t going to try to have one litter box for each cat plus one more, as is often suggested by vets. I live in an RV for goodness sake! At first, we considered the places we could store a box in a hidden-away area. But we were having problems coming up with a place that could store a box large enough for two cats, without having to immediately scoop it every time one of them used it. We bought a storage tub in a color that matched our decor so it doesn’t stand out too much. It was 17-gallon plastic storage tub with a lid, and had some attempt at a nice texture on the sides. The lid and high sides help keep the litter and odor inside the box. First, we cut a large rectangular hole in one of the longest sides about 4 inches from the bottom of the tub, about 2 inches from each side, and 3 inches from the top. For younger cats that can handle it, you may consider making the bottom edge even higher to reduce litter tracking. Then we put some thin strips of matching-colored duct tape over the rough edges where we cut. After that, we filled the tub with litter about three inches deep and put the lid on. Easy! We positioned our kitties’ new litter box near a wall with the opening toward the wall. Our dog was a little gross and liked to try to sample the treasures in the cat box, so we needed to position it that way to block his access to it. It worked! 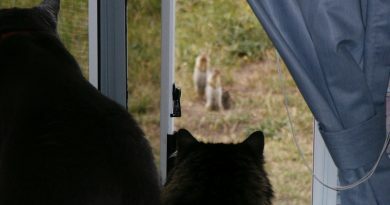 He couldn’t get to the treasures and the cats could still get into their litter box. Access through the top of the new box made it easy for me to clean. I didn’t say it was a pleasure. Just easy. Thankfully my cats took to it and have used it consistently. 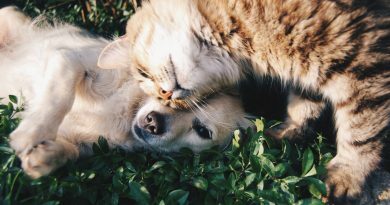 It has worked for us and our fickle cats, and cost us very little to make. 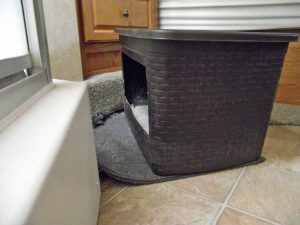 Have you found a commercially made litter box that works for you in your RV, or did you have to create one yourself? 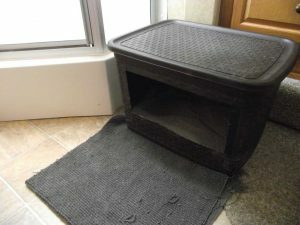 Where do you put the litter box in your RV? ← Wrapsit – A Portable Kennel Under Your Chair!